Comment: We have a split rail fence. One of the parallel posts broke at the bottom ( due to non jumping high deer), and the post next to broken one is a little shaky. Need both replaced. Comment: fence in small area front yard for dogs. Comment: Install 4 foot fence in front of house. Woodbury Fence Contractors are rated 4.83 out of 5 based on 235 reviews of 17 pros. 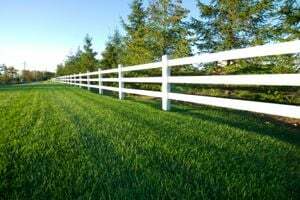 Not Looking for Fences Contractors in Woodbury, CT?